Gary Grant does not open his stores on a Sunday because of his Christian faith. The Christian owner of a toyshop chain will not be opening his stores this Christmas Eve as it falls on a Sunday. Gary Grant, founder of The Entertainer, does not open his stores on Sundays because of his Christian faith. Gary refuses to alter the policy despite Christmas Eve being one of the busiest sales days of the year. Speaking on Premier Radio’s News Hour, he said: “We don’t trade on Sundays, any Sundays of the year, and as the dates have fallen for the current year, we will be closed for what will be the second largest trading day of the year”. He added: “As a Christian, I believe in families – I have my own children, I have six grandchildren. We will be closed for what will be the second largest trading day of the year. Gary said he has no regrets about taking this approach. Gary became a Christian in 1991, after attending a men’s breakfast at his local church. 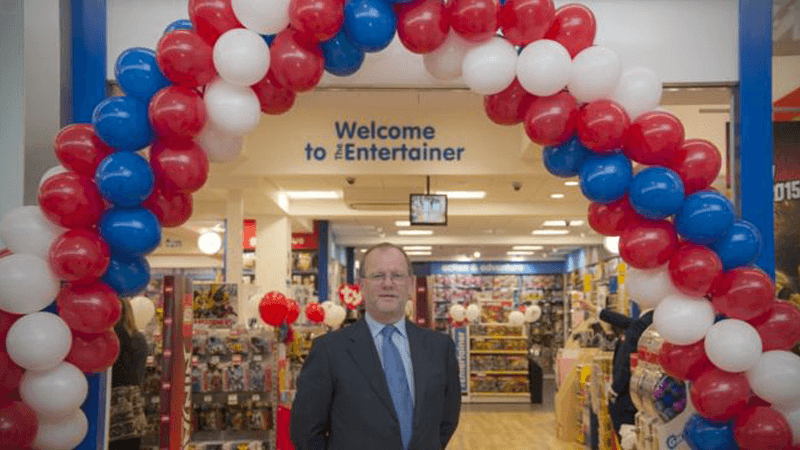 The Entertainer does not stock Halloween goods or realistic weaponry, and ten per cent of its profits are given to charity. The company says it will “only sell toys we believe have real play value, represent good value for money and are suitable for the children they’re made for”.